Bromsgrove based Pulse8+ Care have an excellent reputation and we receive many letters of thanks for the care we provide. Letters are kept in albums at our offices or can be viewed on our Testimonials page. 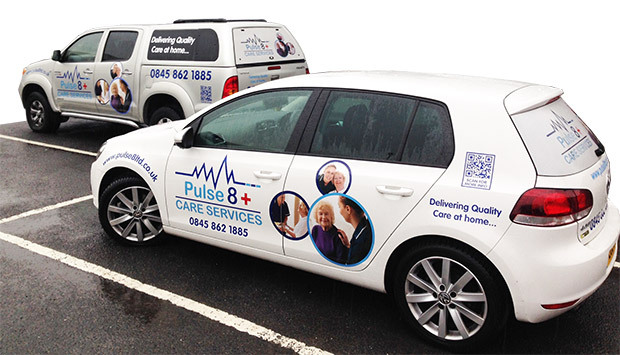 Pulse8+ Ltd provide high quality care to both young and old across Worcestershire. We have an excellent team of highly trained care workers who provide effective, person centred care, which has the needs and requirements of each individual at the core of our care/support. Each person has a plan of care/support designed, with the person or the family of the person who requires our care. We pride ourselves on being sensitive and flexible, to accommodate the needs of each person. We monitor and review the care regularly to monitor effectiveness and satisfaction with the care provided. We encourage feedback from our service users and their families, to continue to improve the services we provide. We have an ongoing commitment to staff training. This ensures that our care workers are kept up to date and are given any additional training, as required, to accommodate any specific requirements. We are monitored by the Care Quality Commission through a series of assessments and we always operate in line with their recommendations, rules and regulations. These are the key members of the Pulse8+ Care Team however we also directly employee a large team of high calibre, experienced care professionals to deliver reliable, high quality care to our customers. Hearing what our care staff have to say provides us with the confidence and knowledge that our care staff are receiving the correct support and knowledge to complete their job to the best of their abilities. I started my nursing career at The Queen Elizabeth Hospital in 1986. When I qualified, I worked on a surgical ward and then a medical diabetes ward. In 1988, I started working at The Alexandra Hospital in Redditch on a combined ITU/CCU. I then moved to specialising in Cardiology, working on CCU. I became a Sister and took on the role of Chest Pain Nurse, assessing patients admitted throughout the hospital with chest pain and coordinating their care. As part of my role on CCU, I also developed an interest in Tissue Viability and Infection Control and acted as a link nurse in these areas. Before I joined Pulse8 Care Services I had moved out into the community as a Heart Failure Specialist Nurse. Throughout my career I have continued to develop myself professionally and undertaken various courses relevant to my role. Wendy has worked in the care industry for over 20 years. Her former roles have included work on a Coronary Care Unit for the N.H.S. where she provided care and support for patients following an acute myocardial infaction. Wendy also has extensive experience in domiciliary care, working both as a Domiciliary Carer and Domiciliary Care manager where she managed over 200 carers. Caroline has over 15 years’ experience in the all areas of the care Sector and has been a care Co-Ordinator and Carer. Caroline has worked with Pulse8 for over 7 years and has progressed within each role in the company and is now the office manager. Caroline has her Level 2 and 3 in Health and Social Care. Lily has worked at Pulse8 for over 6 years. Lily was initially a care assistant before progressing into the role of care Co-Ordinator. Lily has an NVQ Level 3 in Health and Social care and is progressing towards level 5. Kerry has been a carer for over 15 years and in that time has done various roles, Kerry has been the training manager at Pulse8 for over 3 years. Kerry has qualifications in PETALS, a diploma in Health and Social Care level 3 is progressing towards level 5. Kerry has completed various Trainer Training courses and has raised money for Birmingham Children’s Hospital, Ronald McDonald House and Cure Leukaemia. Evie has been a carer for Pulse8 for over 5 years. Evie also processes payments and assists with the day to day running of Pulse8 and is working towards her NVQ Level 2 in Health and Social Care. Tom has worked at Pulse8 for over 5 years and is the office Health and Safety Manager, processes payments and invoices, manages I.T and assists with the day to day running of Pulse8.